This, like Part 1, has the Q & A in inverse. In other words, I’ll ask the question and you provide the answer. Friends, I’d like to introduce you to a friend of humanity, Eva Mozes Kor (pictured to the right), the Auschwitz survivor who sparked a controversy in 1995 when she publicly forgave the Nazis for their genocidal crimes. 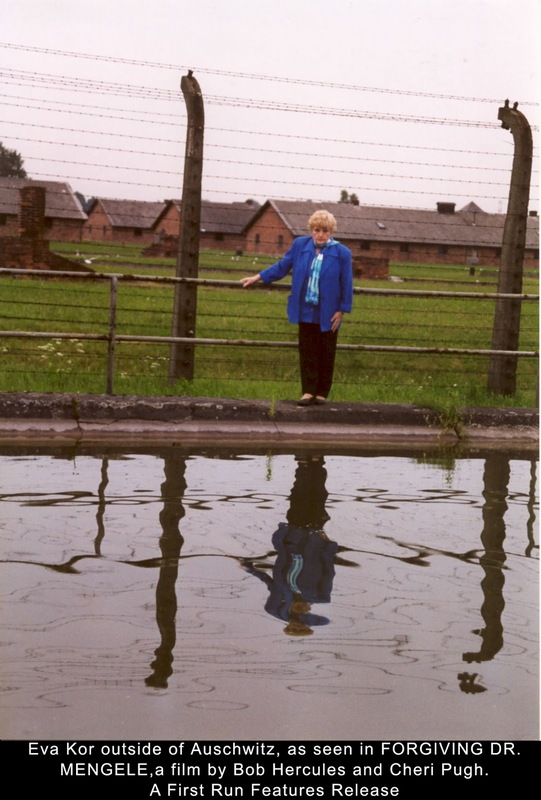 As a little girl at Auschwitz, Eva Mozes saw and experienced horrific things. Within less than a minute of their arrival at the most infamous death camp, she and her twin sister were separated from their parents. They never saw their parents again. As twins, they were considered ideal test subjects for the most grotesque and perverse experiments the Nazi “researchers” could imagine. Her entire story can be seen in the documentary film Forgiving Dr. Mengele. I’m hoping you see the film, so I don’t want to talk too much about it. I highly recommend it. It truly isn’t horrible to watch. Actually, it’s hopeful. One day in recent years Eva realized that choosing not to forgive someone for what they’ve done to cause pain and/or offense is equal to choosing to continue to be a victim. When she considered this, she found to be repugnant the idea that she’d be a victim of the Holocaust for the rest of her life. She was a victim at one time, but she chose to put all that in the past and to keep it there. Wrong. Eva is saying the opposite. If you refuse to forgive, you’re allowing the pain of whatever you are not forgiving to prevent you from being the person you are capable of being. In short, because unforgiveness is a voluntary tie to the past, it stands to reason that if you don’t forgive others, you cannot be the person you were called to be… in the present as you move forward into the future. You’re living and reliving the past every time you think about the person who hurt or disappointed you. That’s not being the person you want to be. That’s giving power to that other person for what happened in the past far into the future. What a waste. And that is most certainly causing problems for you because, as has been mentioned in previous articles, the problem is rarely limited to one person or one situation. So, there it is. Do you really want to put someone else in charge of when and under what circumstances you fully take charge of your life… if ever it is to happen? Here’s a better question for our Q & A: If Eva Mozes Kor could forgive, what’s your excuse? Eva Mozes Kor is a survivor of the Holocaust, a forgiveness advocate, and a revered public speaker. Powered by a never-give-up attitude, Eva has emerged through a life filled with trauma as a brilliant example of the power of the human spirit to overcome. She is a community leader, a champion of human rights, and tireless educator of young people. Wow…this will definitely keep things in perspective…I thoroughly enjoyed reading this and look forward to watching the film. Thank you for the ping, although it belongs to a blogger in Colorado I am sure she will appreciate knowing it is being passed around. Forgiveness is a great mountain to climb, I forgave the man that murdered my daughter but it was not easy and I still want justice, so maybe I haven’t forgiven as much as I thought hmmmm…..